ZSL Whipsnade Zoo was opened in 1931 with the aim of creating a park where animals could be observed in natural surroundings. Set in 600 acres of beautiful parkland on the Chiltern Downs, it was the first open zoological park in the world. Today, we are still committed to providing the highest standards of animal care including the most suitable enclosures. For example, ZSL Whipsnade Zoo now includes the largest elephant enclosure in the country. Gifts in Wills can help us to maintain the Zoo and to provide new and improved enclosures for our animals. One such gift from Marion Towler, a ZSL Fellow for over 30 years, has done just that. 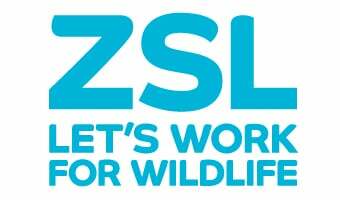 Marion kindly left the residue of her estate equally between her four favourite animal charities, including ZSL, for the benefit of ZSL Whipsnade Zoo. Marion’s generous legacy gift has contributed towards improved accommodation for our Eurasian brown bears, twin sisters, Winslow and Wellington, at ZSL Whipsnade Zoo. The brown bear enclosure is a surviving feature from the earliest days of the Zoo, so it is definitely time for improvement! The new development is currently underway and will be able to accommodate four bears once completed. The area will have new dens that will have a deep litter bed allowing the bears to hibernate as well as providing easier veterinary access to the animals. The outdoor area will benefit from relandscaping with rocks and plants. There will also be new visitor viewing areas where talks will be held to improve visitors' experience of the bears.